I've seen this watch EVERYWHERE and every time I see it I want it more and more! I want that watch so badly!! 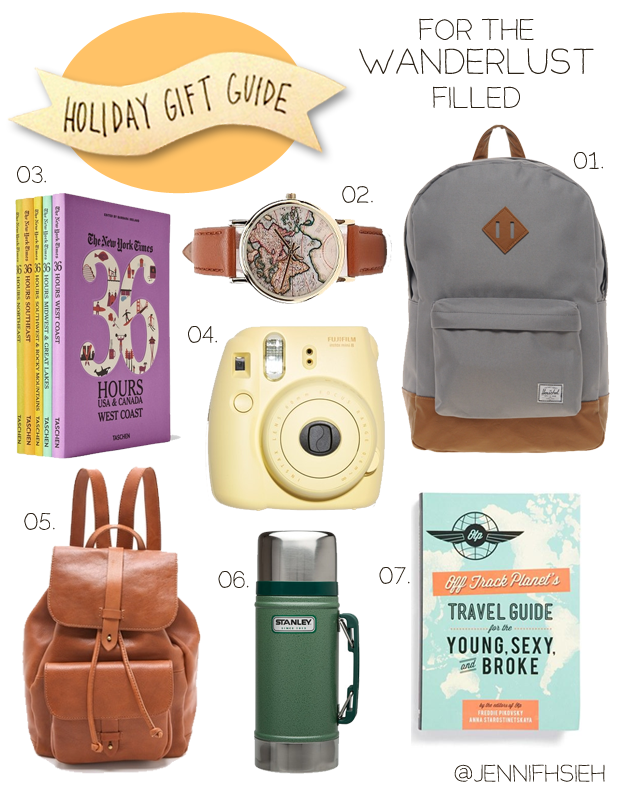 Also loving that travel guide! I like the 35 hours books. Never heard of them but man they look intriguing! I should definitely get this travel guide! This list is so perfect. We have that thermos--or one that looks exactly the same--and my dad uses it almost daily! Wow, didn't realize I was a wanderlust person until I saw this list...I love all of these! I've been lusting after the leather backpack by Madewell foreverrrrr! !